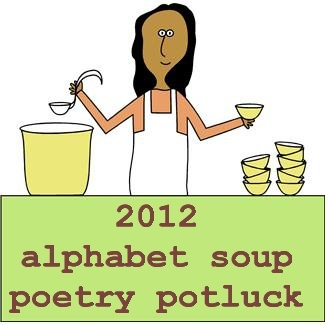 #6 in the Poetry Potluck Series, celebrating National Poetry Month 2012. Today I’m very pleased to welcome New Jersey poet Gail Fishman Gerwin to the Potluck, the first of four guest poets who write primarily for adults rather than children. Whether you celebrate Passover or Easter, it’s likely you’ll be spending time this weekend observing holy rituals and sharing special meals with family and friends. Most of you know there’s nothing I love more than a recipe/cooking poem, and this slice-of-life beauty provides ample nourishment for body and soul, a delicious blend of family history and cultural heritage. We thank Gail for so generously sharing precious photos of her parents, sister, daughters and grandchildren, four generations in her family who’ve enjoyed stuffed cabbage at Passover. Gail has already made two batches for tonight’s Seder, which will include gefilte fish, matzoh ball soup, brisket, spinach gnocchi, matzoh kugle, sponge cake, and veggies, among other special foods. Yum! Gail’s daughters, Karen (10) and Kate (7), at the Seder table. Now, let’s listen to the voices from Cele’s kitchen. and burn you, see my arm? Check the color, press a fork. It backs away? It’s soft enough. Lift it out, put it on a towel. even one drop of water. (She preferred to grind her own). Here’s the question: with or without rice? Here’s the answer: it depends. a big cabbage leaf on a flat dish. maybe two chopped onions in oil. a nineteen-cent can of tomato paste. a tiny squirt of white vinegar. simmer two, two and a half hours. The lady who used the raisins? until they’re done. How long? You can figure this out for yourself. When I was a bride, we didn’t have timers. Don’t serve it the day you make it. so it should stand downstairs empty? Copyright © 2009 Gail Fishman Gerwin. All rights reserved. Like many of her traditional dishes, my mother’s stuffed cabbage produced an aroma that reached far beyond our nostrils and into a memory bank that remains. She didn’t work from a recipe book, instead using the trove in her head. “Throw in this, throw in that, a pinch, a squirt, a handful, fill a coffee cup (with), listen to it sizzle”—these often were her directions. Gail with her parents Benjamin and Cele, and older sister Carol. The stuffed cabbage poem reflects her recipe as I wrote it down when I begged her to quantify ingredients and procedure. I decided to follow the poem (almost) to make a test batch of this year’s stuffed cabbage although I did not boil the cabbage to peel the leaves. Instead I took Joan Nathan’s hint from The Jewish Holiday Kitchen and froze an entire head of cabbage for several days, then defrosted them, easily peeled the leaves, lay them to drain on paper towels, and used them as envelopes for the meat. I also baked the assembled dish instead of doing it on the stovetop as my mother did. Admittedly, I did not grind my own meat (the grinder a reminder in the basement), instead opting for pre-packaged ground turkey from Trader Joe’s in deference to guests who don’t eat beef. Trader Joe’s, by the way, also sells very lean ground beef—only four percent fat. Gail’s grandchildren Jordan, Liv, Brandon and Benjamin opening the door for Elijah during last year’s Seder. Now Mom was a cautious shopper who knew her prices; hence the poem’s 19-cent can of tomato paste and 33-cent can of tomatoes (reminder to myself: check the per-can price at Costco). For the recipe below, I translated price to size and added a can of diced tomatoes (organic, Costco). I also went with “the lady . . . raisins” and sprinkled the sauced cabbages with these and a small handful of brown sugar. “A little lemon juice” becomes the juice of one lemon (try Meyer’s lemons). A vinegar squirt? Yes, I used a squirt, but a teaspoon or less of vinegar will do. Oh, save the tomato paste can and fill it halfway with water and throw that in. Freeze cabbage for several days, then defrost and core. Pull off leaves one at a time and remove excess water with paper towels. Brown onions in olive oil until soft and sweet. Add rest of ingredients. If desired, chop up some of the unused cabbage and add to sauce. Simmer for a half hour. Put aside. Wearing thin (latex-free, Costco, of course) gloves, use hands to mix all ingredients well. Spread a covering layer of sauce on the bottom of a large baking pan. Once cabbage leaves are towel-dried, lay them flat, inner side of curve facing up, and (with gloves still on or a new pair) scoop up enough meat to allow leaves to fold, from core side to opposite side; then fold other sides in. Lay each piece, folded side down, in the pan, making only one layer of cabbages. Spread sauce on top of the cabbages, sprinkle with brown sugar and ½ cup of raisins, cover tightly with aluminum foil, bake at 325 degrees Ffor three hours. Remove from oven and cool in refrigerator. Serve the next day or freeze. Gail Fishman Gerwin’s poetry and reviews appear in journals including Lips, Pirene’s Fountain, Rattle, Loch Raven Review, Paterson Literary Review, U.S. 1 Worksheets, Journal of New Jersey Poets, Adanna, and Tiferet, where she is an associate poetry editor. Her memoir Sugar and Sand was named a 2010 Paterson Poetry Prize finalist and her poems earned four consecutive Allen Ginsberg Poetry Awards honorable mentions. A Paterson, NJ, native, who writes fiction, essays, and drama as well, she is principal of inedit, a Morristown, NJ, writing/editing firm. She and her husband Kenneth are parents of two daughters and grandparents of three boys and a girl. She is working on her second poetry collection. Copies of Sugar and Sand may be purchased by contacting Gail directly: poissonhomme (at) me (dot) com. Previously: Menu/Giveaway/Door Prizes, April Pulley Sayre, Mary Quattlebaum, Helen Frost, Linda Ashman. The always warm and hospitable Robyn Hood Black is hosting the Poetry Friday Roundup this week at Read, Write, Howl. 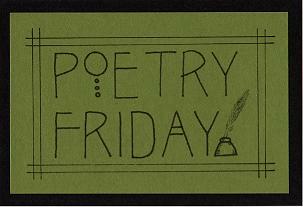 Check out the full menu of delicious poems being served up in the blogosphere and have a happy holiday weekend! This post is also being linked to Beth Fish Read’s Weekend Cooking, where all are invited to share their food related posts (recipes, fiction/nonfiction/movie/cookbook reviews, musings and random thoughts, photos, etc. Despite not being a Jewish mother, I love so much that my mother is much the same way about directions – a pinch of this, a dollop of that. But, she comes by it honestly – and this poem makes me cry a little, too, because my grandmother, was so much like that. I should have tried to quantify those recipes, but my mother didn’t either. We could neither one of us ever reproduce Madea’s dishes anyway, but my Aunt Gert came closest… and she’s still in her fifties, so with us for a long, long time to come. It seems like the “best” recipes are never written down, and perhaps they shouldn’t be. But I’m seeing with Gail’s wonderful poem that poetry can capture the essence of what we crave most from a loved one’s cooking. Who can measure a mother’s love and advice? For days now, I have been captivated by the idea of richness – not the one that is seen in one’s bank account or the traditional notions of financial security – it’s the lushness of life as evidenced in poetry, delectable dishes such as this, and knowing more and more individuals that would add a ‘dollop’ of spice and a ‘smidgen’ of color and taste to our lives. Thank you for enriching my Friday, Jama and Gail. Beautiful post. Thanks for your lovely, thoughtful comment, Myra. So true. The feast of words satisfies hungers we never knew we had. First, I know what I’m doing wrong when I make stuffed cabbage . . . second, oh, the heck with the first. I *could* hear Gail’s mother teaching her how to make stuffed cabbage. The rhythm of her language . . . our mothers spoke poetry. If only I’d had sense enough to catch one of my own mother’s recipe poems. A lovely, lovely post and a great ending to the first week in Poetry month. I love Cele’s voice, too! You could hear the love, but also the great personality. What fun it must have been to chat with her while she was cooking! Thank you for your generous comments. Just made trips to the freezer my mom bought us to carry up some of tonight’s meal. Now I don’t have to go to the gym, right? Thanks again for gracing our Potluck. Cele sounds like a remarkable woman. An honor to get to know her and have you here with us. Please hug your family for me. My mom was a rip, Mary. It’s easy to remember her instructions and smile. That’s my favorite line too, Mary! The voice shines through so very much. When you read this poem, Gail, you surely hear your mother talking you through to the end, and even that last about the freezer told me who she was a little bit. My mother too used words and asides, getting in as much advice as possible, like washing the pan to re-use. Thank you Jama for the delicious time every day, and you Gail for your memory. Wonderful how we hear Cele so clearly, yet also hear our own mothers in the back of our minds. Some things you just never forget :). This was truly lovely- and it made me hungry. Thanks for sharing! Glad you enjoyed it! Have a nice weekend :). Bwhaha! Sometimes, I think a kitchen is the only place we ever learn anything for real and forever. The tone here is so teasing and yet brisk and authoritative and a little pushy, but only for the right reasons and you can feel the love. Sometimes, food poems make me hungry, but this one fills me up. So true, Sara. The most important thing I learned in college was “how to learn.” Lots of the other stuff doesn’t seem to apply to real life. That might be truer for English majors, though. “invisible bonds of those apron strings” = lovely, Robyn! I do enjoy how Cele’s sense of humor shines through. What a character :). Shalom. I’m SO hungry! I guess that’s what this blog does as well as sharing poetry advice to those in need of both. Food is love and what a lovely family Gail came from and co-created on her own. Yes, we do try to ease more than one kind of hunger at this blog. Food is love, for sure, and Gail’s poem is wonderful evidence of that. Hi, Jama and Gail. That stuffed cabbage dish looks amazing. I’m always happy to learn about poets from my home state (NJ), but I also enjoyed the family photos. Passover is such a wonderful celebration. New Jersey is such fertile ground for poetry! Must be something in the water or the air :). Garden State, where words flourish. I need to say it again. Thank you, Jama, for including my post in your Potluck. The cabbage is heating on low as I write. I am overwhelmed by the warm comments of the Jama’s Alphabet Soup community. It has made one of my favorite days of the year even better. For a treat, listen to Theodore Bikel’s CD, “A Taste of Passover.” I play it every year as I prepare. Whatever holiday all of you celebrate this weekend, I hope it is filled with family, friends, and good food. Thanks for suggesting the Bikel CD. Will have to look for it! Hope you post some of this year’s Seder photos on FB :). All of the sacred rituals in this poem, this season, these holy days, the kitchens where mothers and daughters cook together…in a multigenerational “ballet.” Sigh. I need a freezer in my basement and time with my mom in the kitchen. I know just what you mean, Mary Lee. My mom’s a great cook but she lives so far away. Sigh. Now that we know the “secret” to getting those cabbage leaves off without breaking them, we must all try this recipe 🙂 Happy you enjoyed this post. Thanks for visiting, Ruth. Happy Weekend to you! funny, I was just discussing stuffed cabbage recipes with a guy at work this week. we are both pro rice..and he stressed the need for a splash of vinegar. we puts some in the water when we cooks the cabbage too. I am pro tomato in the sauce, he not, but neither use raisins..I like the sweet and sour idea. going to try this one! I’ve used rice in the past, but never raisins. Hadn’t heard about putting vinegar in the water when cooking the cabbage. I’m definitely pro tomato :). Stuffed cabbage reminds me of my grandmother and many a holiday feast. I loved the poem and the Passover photos. We loved to open the door for Elijah. Wonderful holiday memories. These look and sound WONDERFUL! Very timely too, of course. I love all the personality that comes through and the accompanying photos. I get a sense of being there and joining in, which I really love. Thanks for sharing today (and all month via Poetry Month!). It was so nice of Gail to share those photos. Love the family picture with her parents especially. Let us know if you do! Oh, the yummy memories of stuffed cabbage! I’d forgotten! And yes, yes to raisins…most definitely! Here’s a funny youtube on 20 novel uses for matza when Passover’s over…. I don’t think I have ever seen a recipe in the form of a poem before! It is always a pleasure to visit your Weekend Cooking posts Jama! Thanks, Marg. I love recipe poems. Hope to find more to share on this blog :). I want to say the same thing as Marg. This was all new to me, yet I loved it. As I read the poem I had no trouble imagining the preparation of he dish. It helps that I’ve made lots of stuffed cabbages in the past. But you made me feel as if my cooking was at, well, a poetic level. Well of course your cooking is poetry, Margot! So happy you liked Gail’s poem :). I love stuffed cabbage. What a wonderful tribute to your family this post is. I wish you a very Happy Passover. Thank you, Alex, and thanks again to all who responded to this poem. And yes, Margot, cooking can be poetic, if not on paper, then in our hearts and on the table. To: heidenkind, although the book isn’t entirely a cookbook, but a memoir, food seems to take up a significant portion of it — the food my mother served, the foods I wasn’t allowed to eat because of allergy (avoided) or her rules about non-Kosher foods in the house (I ate them elsewhere), the food that may have caused sibling rivalry (only one stuffed chicken neck per chicken), and the foods, like stuffed cabbage, that served as props to other life dramas. Love the humor. Every ingredient was handled with love not measuring spoons. My recipe for stuffed cabbage is almost the same, except I put 1/4 c. of maple syrup in sauce so gets a bit heavier. Maple syrup sounds like a good addition. Thanks for the tip, Barbara! I love the cooking poem! Wonderful 🙂 Such sweet pictures of the holiday! The stuffed cabbge looks delicious. They are the reason I learned to cook, trying to duplicate my Bubbe’s recipe. Hers had raisins and rice. That’s so nice to hear, that her stuffed cabbage made you want to learn to cook! Oh, raisins and rice. Why not?